Garry Parsons was delighted to be asked to take part in this years Bath Children’s Literature Festival. Garry and Gareth P Jones once again teamed up to run their rip roaring ‘The Dinosaurs Are Having A Party’ event, with live drawing, ukulele playing and ventriloquism, it was another fun filled morning. Garry was also honoured to be asked to produce an original illustration for the prestigious ‘Red Chair Charity Auction’, taking place on October 1st. 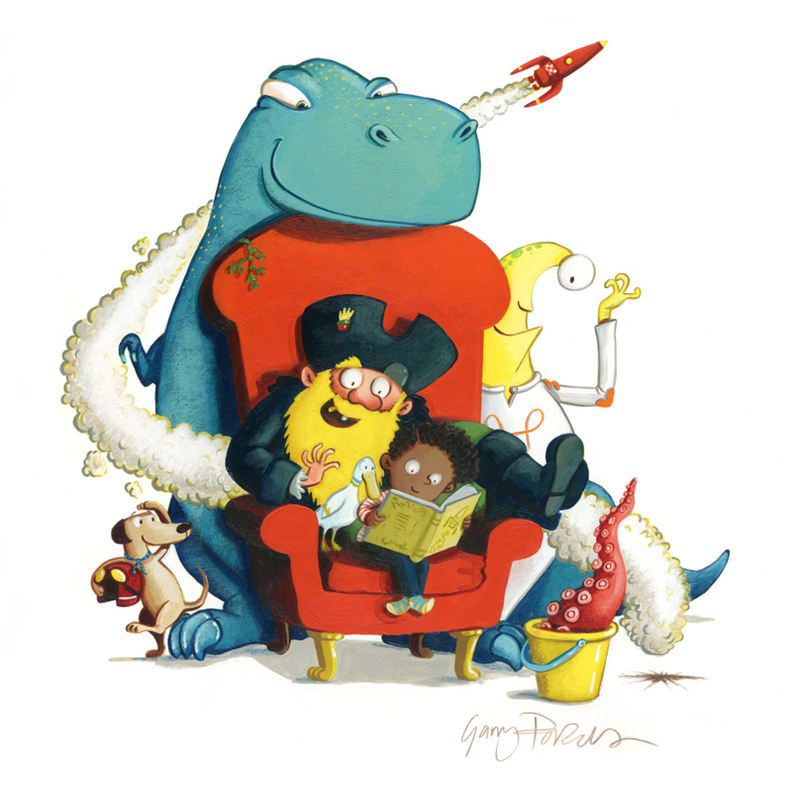 Garry illustrated the iconic red chair along with his favourite characters from his recent picture books. To bid to win this fabulous limited edition print, click here. To see more of Garry’s work, click here. Garry Parsons is represented by Kids Corner. Published on 30 September 2015.